Every face has a story. What’s yours? I was watching Zoella’s February favourites video the other day, and she was talking about sheet masks. I prefer sheet masks to any different mask. She mentioned one individual one, and honestly, Zoella can sell just about anything. She made it sound so good that I had to try it. Banana milkshake? Uh Ya. I’ll take 4 of whatever she’s having lol I like her videos too. 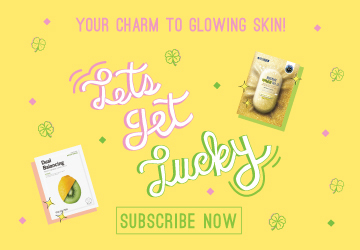 Anyway, I came across these Banana Milk Masks on their website and am glad I did because Facetory™ is a Korean monthly sheet mask subscription which I am all about. I love getting things in my mailbox if I can because I always need new sheet masks and the prices are reasonable, AND they ship internationally! Description: This Banana Milk Mask Pack from Dr. Plus will take you on a trip down memory lane, with its delicious scent and milky essence that smells exactly like banana milk! This sheet mask uses a thin and transparent cotton sheet that will comfortably stick onto your face to lock in the moisture that is being provided by the super milky essence. This sheet mask allows your skin to balance its water content and also retain its moisture through its one-time use. Your skin should definitely feel moist and well hydrated after using this fantastic mask! TIP: This mask contains tons of essence and is very moisturizing, so we recommend to use it as a night mask!